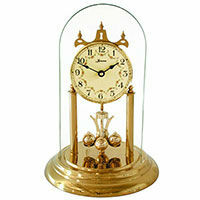 This is a complete clock kit, but the clock case would be built on your end. 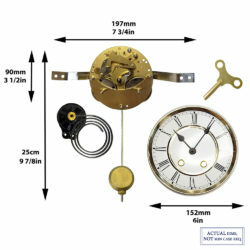 The shipping on these mechanical clock movement kits usually consists of three or four packages, the heaviest one being the weights. 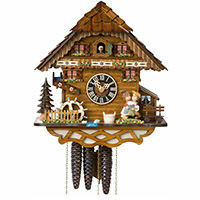 They are always shipped UPS from the USA in one or two days of placing the order. 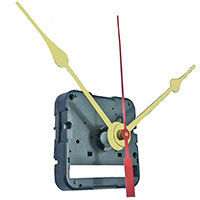 Every clock kit comes with a 2 year warranty. 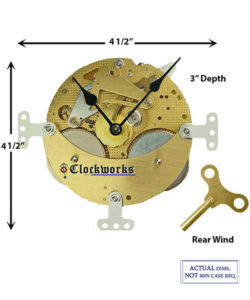 To determine what clock movement kit would be right for you, please review the following pages and give us a call at 800-381-7458 and we will be happy to help you choose the clock movement kit. 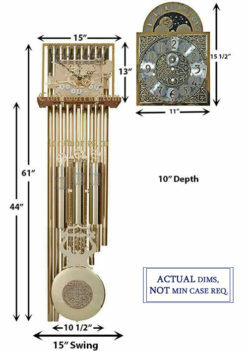 Generally speaking, but not in every case, the larger grandfather clocks are cable driven and the grandmother clocks are chain driven. 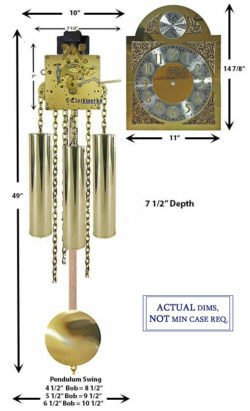 Also, you need to choose whether you want a movement that will play one song (Westminster) or a movement that gives you a choice of three songs (triple chime). 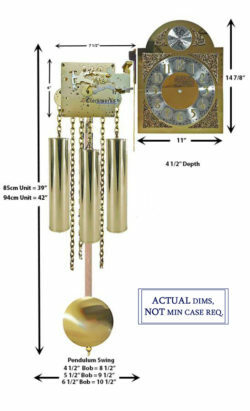 The larger cable driven clocks will usually be triple chime and the smaller grandmother units can be either triple chime or Westminster only. 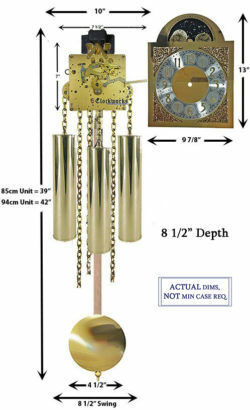 Another choice that will need to be made is if you want a wood stick pendulum or a metal Lyre pendulum, both are used for grandfather clocks or grandmother clock kits, it really depends on if a modern look or an antique look is the end goal. 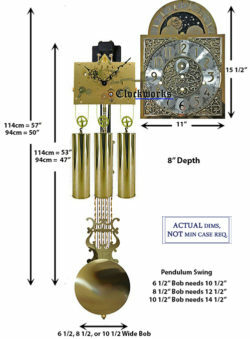 This is needed so we can determine the appropriate pendulum bob diameter that will allow it to swing in the case without hitting the sides. 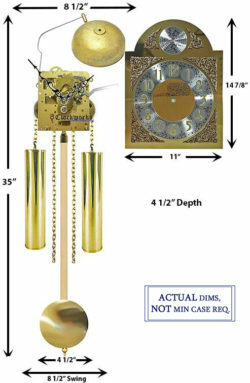 Next, we need to know the depth of the clock case so we can determine how much space we need to take up or how much we need to squash things if there is not much room depth wise. 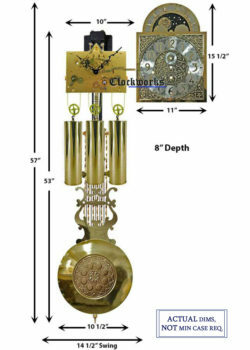 For example, there are usually two hand shaft lengths available, which means that the longer hand shaft movement would sit back more than a short one. 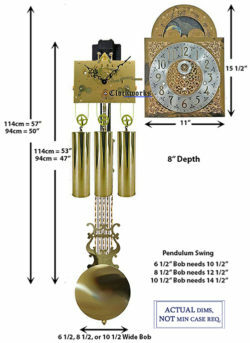 Another factor that determines the depth requirement is if the clock is Westminster or Triple Chime as the Triple chime unit has more hammers and requires a deeper clock case. 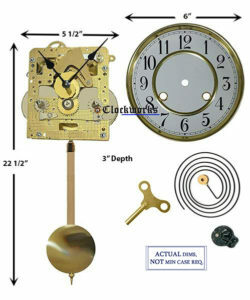 These same people sometimes have a very difficult time adapting a clock movement kit to their current case that they built because they will have the ideal dial size or other things in mind that they would like to do, but these items may not exist in the size they have built the clock case for. 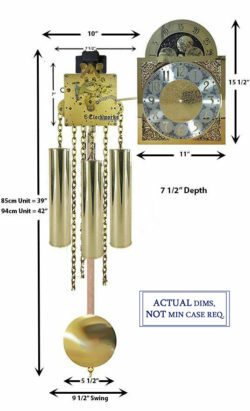 As you can see with the subject line “What measurements do I need?” there are a lot of measurements that need to be correct with the movement kit installation. 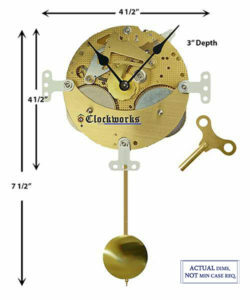 What all this means is to order the clock movement kit before building the clock case. 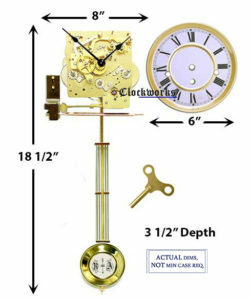 This way you will have the kit and can measure the various items to build the case around the clock kit instead of the other way around. 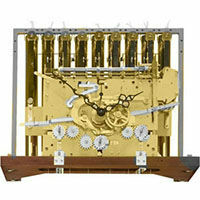 Many of the modern clocks have the seat board about 16 inches wide and is 2 and a half inches deep but this would vary on the clock case dimensions being worked on. In the center of the seat board is a hole that is 1 inch wide going across the center of the 2 and a half inch deep seat board. 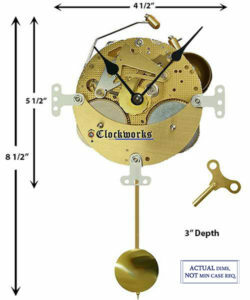 The hole is wide enough for the movement to sit on the board with its chains hanging down in the center. 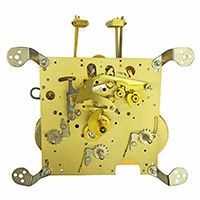 Then the seat board screws with the rectangle washers can go up into the movement’s arbors on the bottom. 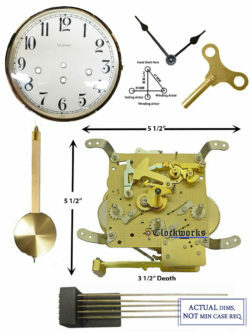 Even easier would be just to mount two, three quarter or 1 inch square boards running parallel, which are 1 inch apart, across the inside of the clock case, this is really all a seat board needs to consist of. The only thing that has to happen is the movement is in the air with the chains dangling down in between these boards. 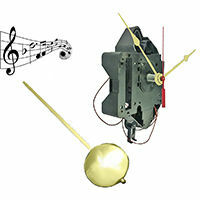 The boards just can’t be so wide that the pendulum rubs it on the back of the movement.